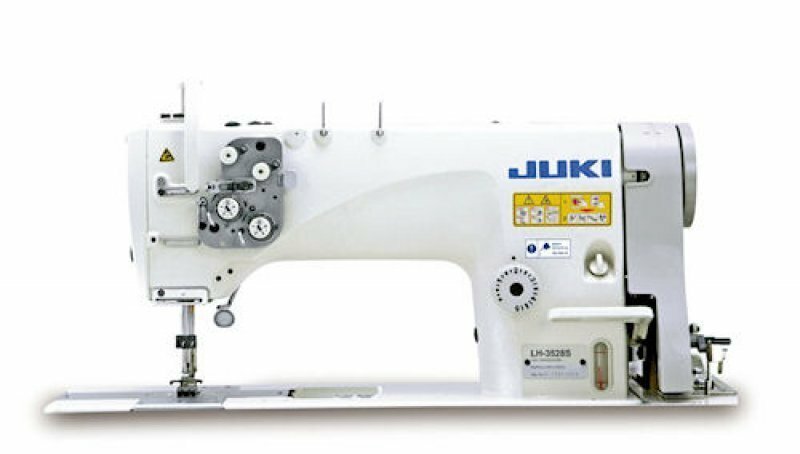 Large Hook Double Needle Semi-dry Head Needle Feed Lockstitch Sewing Machine. Ships with 1/4 inch Spacing Between needles. Optional Needle Gauge Sizes available by request. Additional charges may apply. Adoption of the direct-drive mechanism enhances energy conservation and workability, and increases the needle's material penetrating force. The LH-3528A has made further progress. This is the cutting-edge model 2-needle sewing machine which comes with substantially enhanced mechanisms such as the direct-drive mechanism, semi-dry head, new thread tension control mechanism and improved oiling system. The LH-3528A is provided with a semi-dry head to eliminate staining of oil on materials. With its widely adjustable thread tensions, the LH-3528A can sew materials of many weights, from light to heavy.